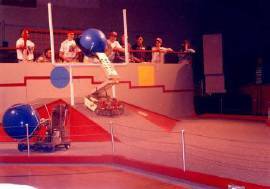 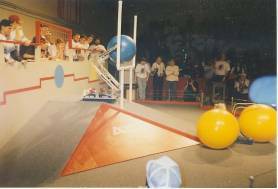 For RAMP 'N ROLL in two minute matches, three robots race down a 30-foot raceway, over a speed bump just wide enough for two to pass through, to retrieve their 24� and 30� vinyl balls. 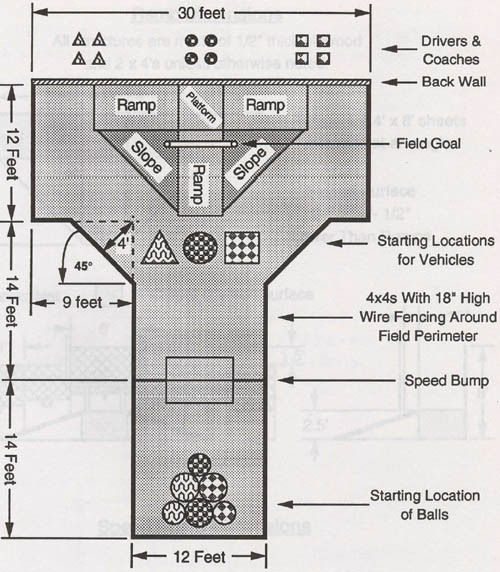 To score, they must carry the ball(s) back up the raceway and push or shoot the ball over a nine-foot field goal from either the playing floor or a raised platform area, all the while trying to keep their opponents from scoring. 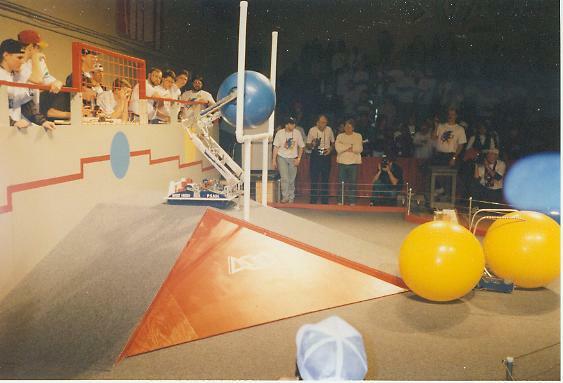 Teams may score more than once with each ball � the smaller ball is worth two points and the larger ball is worth three points.